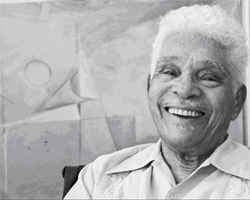 J. Eugene Grigsby, Jr.—legendary African American artist, educator, author, lecturer and researcher—was born on October 17, 1918, in Greensboro, N.C. His formal education began with a bachelor’s degree from Morehouse College in 1938, followed closely by a master’s from Ohio State University in 1940. His further studies included Arizona State University and the American Artists School in New York City but also spanned the globe to the Ecole des Beaux Arts in Marseilles, France. In 1963, Grigsby earned a doctorate from New York University. As a 1942 U.S. Army volunteer during World War II, Grigsby served as master sergeant in an ammunition company under 3rd Army’s General George Patton. Even during wartime, his creative genius touched the lives of those around him. It was Grigsby’s idea to issue and reload ammunition directly from trucks that helped to facilitate the fast-moving 3rd Army from Omaha Beach through Europe. Honored with the Purple Heart and Bronze Star, Grigsby responded to the end of the war in Europe by writing, producing and directing a hit musical comedy that entertained U.S. soldiers stationed in Germany. Grigsby’s career highlights are equally remarkable, beginning in 1941 on the art staff at Bethune-Cookman College in Daytona Beach, Fla., and artist-in-residence at Johnson C. Smith University in Charlotte, N.C. By 1946 he was living in Arizona and teaching at the all-black Carver High School until 1954, a landmark year that closed the school and ended educational segregation in Arizona. Although he taught art at the Children’s Creative Center in the American Pavilion at the Brussels World Fair in 1958, Arizona remained his home. 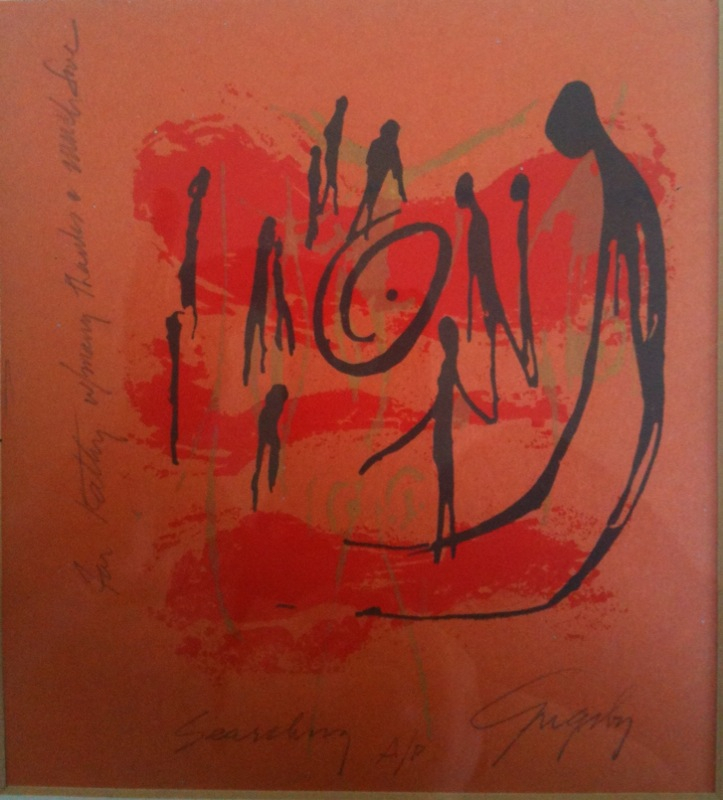 From 1954-66, Grigsby taught and served as art department chairman at Phoenix Union High School. Beginning in 1966 and spanning more than two decades, Grigsby served as professor in the School of Art at Arizona State University in Tempe, Ariz. Working tirelessly to inspire and uplift African Americans as well as the larger community, Grigsby has played leading roles in scores of organizations and earned countless awards—before, during and after his tenure at Arizona State University. He served as vice president of the National Art Education Association from 1972-74 and president of the Arizona Art Education Association from 1988-90. Even at age 89, he continues to hold leading positions in the Booker T. Washington Child Development Center, the Consortium of Black Organizations and Others for the Arts, and the Arizona Opportunities Industrialization Center. Throughout his career, Grigsby has amassed an exhaustive list of accolades on levels from international to local. Most recently in September of 2007, the Congressional Black Caucus in Washington, D.C., has honored Grigsby with the Award for Distinguished Contributions to African-American Art and Education. The National Art Education Association alone has placed numerous laurels on his head, including Art Educator of the Year, Distinguished Fellow awards and Retired Art Educator of the Year. Some awards have spawned even more honors. Grigsby’s 1980 Meritorious Service Award from the National Art Education Association’s Committee on Minority Concerns is now the Eugene Grigsby Award for Service to Art Education. The Phoenix Carver Museum of History & Culture dedicated the Thomasena & Eugene Grigsby Art Gallery in October of 2000, using the same space on the Carver campus that Grigsby occupied as a teacher at Carver High School. A prolific author and researcher, Grigsby’s rich contributions have also been recognized in leading works and publications including the International Review of African American Art, Outstanding Educators of America, Afro-American Artists, Ebony Magazine—and “who’s who” compilations covering America, American Art, Black America, and the West. The celebration of Grigsby’s work in one-man and group shows dot the decades with a timeline of exhibits that began in 1938 with the 2nd Annual Exhibit of African American Artists at Dillard University in New Orleans, La. One-man shows have included the Hewitt Gallery in New York City, Wirsham Art Gallery in Luxemburg, and the Phoenix Art Museum’s “Eye of Shamba” A 65-Year Retrospective. His public collections are on display at the Metropolitan Museum of Art and the Printmaking Workshop in New York City, the Library of Congress, the Cape Coast Museum in West Africa, and Philadelphia’s Brandywine Workshop as well as art centers and galleries in leading universities and public venues across the nation. Most recently in 2007, the Heddenart Gallery in Scottsdale selected 89 of Grigsby’s master paintings for a show that coincides with his 89th birthday. I salute Dr. J. Eugene Grisby, Jr. on a most impressive career and life. You have accomplished so much in the field of art and have received awards and honors so befitting of your merits. How rare it is to accomplish this while you are living. Now that I have come across your profile on the world wide web, I think about how I wish that I could meet you,and learn so much from your experiences and wisdom. Mr. Phillip Simmons/ Charleston, SC Blacksmith inspired me during his latter years. This was indeed an honor for me. Dr. Grisby, I,Ms. Lyda C. Weston, am an artist/painter ( lydaartist@yahoo.com ), and would like to meet my contemporaries.